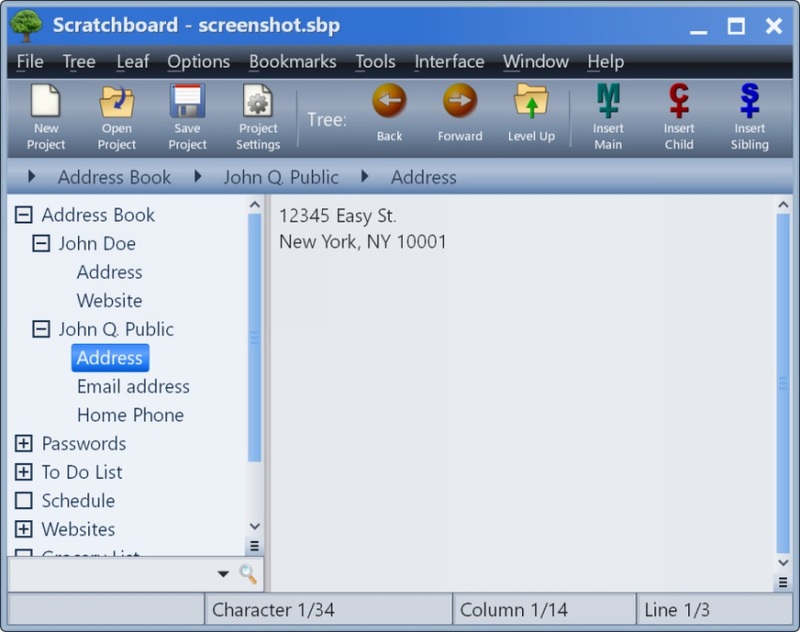 Scratchboard 28.0 Free Download - A tool for organizing personal information in a 'tree' strucutre. Scratchboard is a time-saving organizer that is designed to provide rapid access to your important information. Data is arranged in a &quot;tree&quot; structure, just like a hard drive. Text can be entered into each branch of the tree, and copied to the clipboard with a simple double-click. This makes Scratchboard perfect for quickly filling out forms. In addition to an arsenal of text editing tools, Scratchboard supports global search and replace, bookmarking, macros, spell checking, encryption, password protection, a skinnable interface, and much more. It's time to stop using scraps of paper. It's time to get organized with Scratchboard! Statement: First, please download the orginal installation package by clicking the download link. Of course you may also download it from the publisher's website. Using Scratchboard crack, key, patch, serial number, registration code, keygen is illegal. The download file hosted at publisher website. We do not provide any download link points to Rapidshare, Hotfile, Depositfiles, Mediafire, Filefactory, etc. or obtained from file sharing programs such as Limewire, Kazaa, Imesh, Ares, BearShare, BitTorrent, WinMX etc. Software piracy is theft. If you like Scratchboard please buy it.